We are fairly organic, all natural, green living, etc etc, at our house, so the first pro about this product was that is is organic and unprocessed. I also like the price. A little goes a long way and when I realized this, I started figuring out the math in my head. It actually saves me money to purchase this brand as compared to other brands, It is a full pound bag which will last me a few months. Even when used for cleansing grains, chocolate mousse, brownies, cookies and anything else we can mix up! Cocoa is very good for your skin (and your belly!) I make whipped body butters with cocoa as well as facial creams and cleansing grains. I made a batch of body butter with cocoa butter and Finenaturals Cocoa Powder and a cleansing grain meant to help fight puffiness. Cocoa is rich in antioxidants and can help slow down the aging process. I am also delighted with the rich, smooth, gourmet taste! I make a quick and easy chocolate mousse, (just because we love mousse so much.) and it tastes like I bought the fanciest, most expensive, mousse around! Really, I just add 1 cup of whipping cream, 1/2 cup of powdered sugar, 1/4 cup of FineNaturals cocoa powder and 1 tsp of vanilla extract and beat until desired consistency. YUM!! I won't be changing back to my regular cocoa powder so, I will be back to buy more when I'm low! Deegan, (our youngest) was just the happiest boy in the world the day that Snuggle Bear arrived! He immediately claimed him as his own and decided that he would never let him go. I couldn't say no to the cutie pies. Even his sister and brother were ok with it! We couldn't say no to those big dimples and the little bottom lip face. 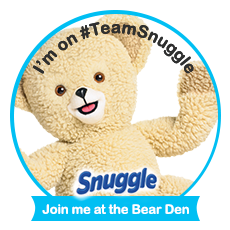 I am a member of the Snuggle Bear Den and one of our missions was to have a #SnuggleSummer and document some summer fun with the famous Snuggle Bear himself! 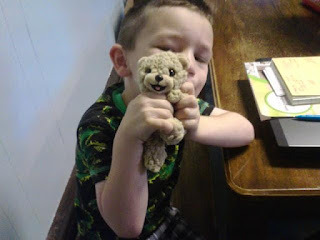 We haven't gone on vacation just yet but, we will be going to Cedar Point next month for Bloggy Con 15 and Snuggle will be right there with us. I don't think he is tall enough for any of the roller coasters, so, he will probably have to stick with the kiddie rides. 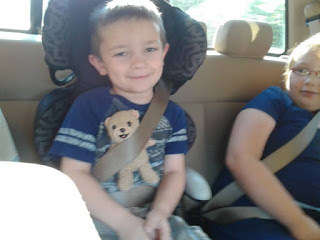 We made sure Snuggle Bear was safe during rides in the truck. He fits right in with Deegan in his booster seat. Safety first! 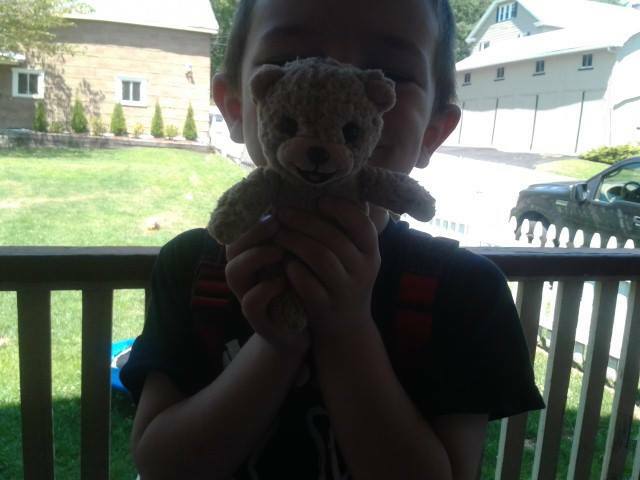 He had a lot of fun going to eat pizza, shopping at the mall, playing in the park, he even went for ice cream. Most of his days have been spent having some cereal for breakfast, watching a few cartoons and then it's off into the yard for some army guy adventures! Since Deegan and Snuggle are a little bit to big to take naps, they just sit down and have quiet time for about 30 minutes and read some books. After that quick resting time, they are both full of energy and ready for another round of Call of Duty, cops, or army guys and then dinner. 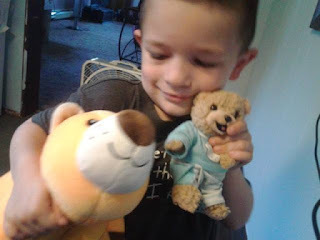 Princess Genevive even found a cute little pj set for Snuggle to wear to bed and he also loves to play with his friend, Stripey the Lion, Deegan's Necknapperz pal. See how happy the best friend crew is? This is the look (looks) we get when we ask, "Do you guys want to go for ice cream?" or "Get some shoes on! 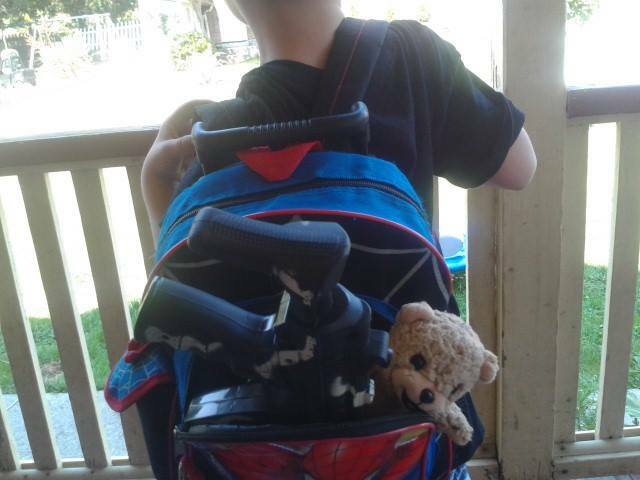 Daddy is taking you to the park!" I am on my way to order a few backups because I keep having nightmares about the day that we can't find Snuggle. I hope this doesn't happen but if it does, I will never be able to break this little boy's heart. 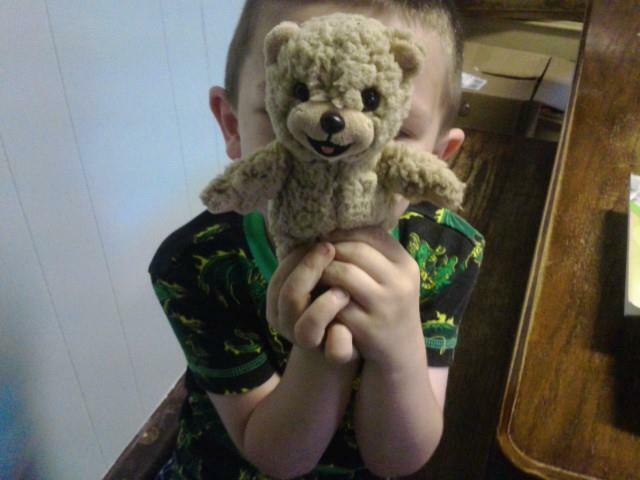 Did you have a Snuggle Bear when you were a kid? Where was your favorite place to take him? 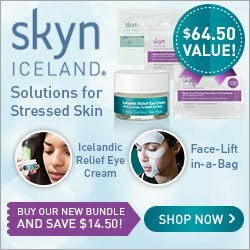 I am a total all natural junkie, green living, organic food, all natural beauty product addict, so when this opportunity popped up to review this brand's all natural skin care line, I jumped right at it. Yes please!! I am always on the lookout for new skin care products, body care, make up, anything that will help me or my kids or pre teen with healthier skin care. Rosemary, aloe, grapefruit seed, lavender, calendula, all of it is in this bottle and then some. I am happy with all of the ingredients and think they are all the ingredients needed to create a top notch cleanser! The ingredient list also tells me that this cleanser would be great for all skin types and help with skin conditions ranging from acne prone to aging to dark spots to dullness and roughness. So, that also added to my 4 star review. Why then did I make this a 4 star review? I love suds and lather and I do realize that maybe not everybody does. (Which is why I am explaining my 4 star review here!) This could be somebody's 5 star review. Now, it does lather but, it isn't as much as I would have liked it to be or would have expected it to be. It does make my skin feel clean but I do think that if there were more suds, it would possibly feel cleaner. I did not break out or have any adverse affects from this cleanser and I did have noticeably softer skin, immediately after the first use. Alone, I can't tell you if it would help with any skin concerns, since I did use this product with 3 other Azure naturals products and together, they are superb! While they may not be my all time favorite, they sure are on my list to replenish when I am close to being out. BUY WITH CONFIDENCE! Our 100% natural seaweed is sustainably, ocean-friendly harvested. Made in the USA With The Highest Quality Natural and Organic Ingredients Available: free of additives, fillers or any other unnecessary ingredients. Cruelty Free and Never Tested On Animals! ONE YEAR MONEY BACK GUARANTEE: We are so confident that we have created the best Natural and Organic skin care products available we back all of our products by a 365-day, 100% Hassle-Free, Money Back Guarantee. If you don't absolutely love any of our products we will give you a full refund, including shipping as long as you purchase from Azure Naturals! I must say, when I layer all 4 of their products that I received, it really feels like a refreshing, expensive, spa experience. I am all for pampering myself and wish I had more time to do so. I also am very content with how soft my skin is since using these products. While I may not have had any massive changes just yet, to be fair, I have only been using this line for about 4 weeks. Have I noticed a change in fine lines, uneven skin tone, smaller pores? No. But, I do see an improvement in brightness and healthier looking skin. That's enough for me to say that I recommend this line for anybody who wants to escape and can't spend the money or the time at a luxurious spa resort. You can find these handy, push up, ointment tubes exclusively at Target in the first aid section. Since it is part of the Target Made To Matter collection. Hylands Bumps 'n Bruises is free of PABA, synthetic preservatives, fragrances, parabens, and dyes. It also comes in a tube made of paperboard that is 90% recycled. My kids giggle non stop when we have to pull out their "make everything better fast" sticks, thanks to the goofy Splat! faces on the tube. This is an added bonus for moms and dads since it is much easier to apply on a happy, giggly kid. She is extra smiley here but her tiny scratch is visible so I know she actually needed it this time :) She actually had a fair sized red scratch, a few of them really. From what? We aren't so sure. Just one of those things that happens when she is outside with her brothers, playing soccer, army or jumping on the trampoline. So, she used her Splat! stick a few times and instantly said she wasn't more. Not to mention, the visible scrapes weren't very visible after the first application. (I think she rubbed it a little and made it look slightly red since she said it itched.) Which brings me to the next part we love! These "make everything better fast" sticks seem to take away the itching away. 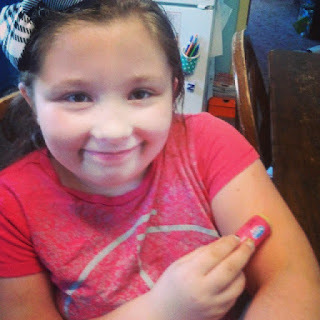 For Genevive, this is a big help because she is a scratchy kid and she has very sensitive skin. (She takes after her mommy.) We always have cortisone cream for her and I, but since we have had these nifty ointment sticks, the cortisone cream has been used much less. 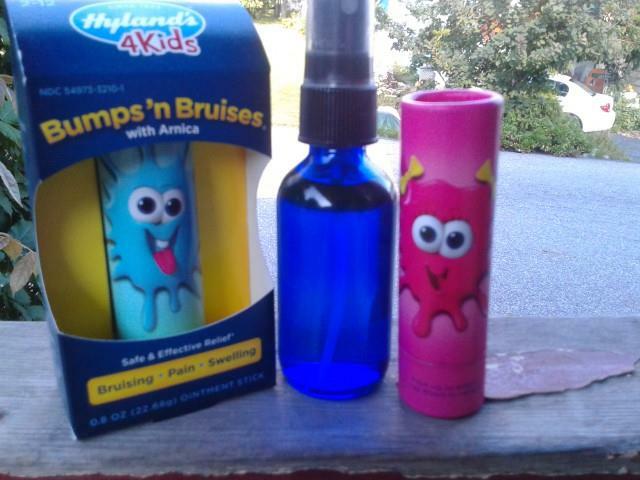 If your kids are always out and about and getting skinned knees, bitten by every bug known to man, getting scratches, skinned knees, stubbing toes, bumps, and bruises, grab a coupon for Hylands Bumps 'n Bruises with Arnica here! I don't know about you but, my kids are totally obsessed with Minecraft. I admit, it's a clever game and I love how they seem to be learning survival skills, life skills and how to escape this Hero Brian or Herobrine or Endermen or whatever in the world they are called. Either way, I am shocked at some of the things my children seemed to have learned from this game and I think this generation of Minecraft kids will end up showing us how they are able to get through anything. Well, almost anything. As I am sitting here right now, typing this post, I am on the edge of my seat, just waiting, wondering when the next shriek will come out of one of their mouths. It gives me shivers just thinking about it! Yes, I allow my kids to play video games. No, they aren't on 24/7. Yes, we limit their time. I admit, there are times when I need a break. Just 30 minutes or so. Just to grab a quick shower or prepare dinner, even hide in the bathroom. Yes, I sometimes let the play even when they didn't necessarily earn game time. Why? Because I'm a mom who needs peace and quiet and I know it's nice to think of all of the perfect houses, with the perfect moms who do nothing but entertain their children and play with them for 12 hours straight and make sure to cook everything from scratch and take them with them, everywhere they go. "MOM! MOM! I just fought the Ender Dragon!" HUH? We do fun things with our kids, we have craft nights, baking nights, sleepovers, play outside but, guess what? I will tell my kids, "Ok kiddos! Why don't you go play a game for a bit so mommy can get a few things done" This is often followed by, "HOORAY!" and other yelps and screeches and giggles. Plus, a huge sigh of relief from me. Knowing I will now have time to do whatever it is I need to do. Relaxation! OMG! I can't take it anymore! All I hear is constant bickering and something about Endermen (sp?) and Herobrine and one kid is freaking out over the youngest one because he keeps making to many signs and eats raw pork chops and OH MY GOD! As if it isn't enough for the bickering outside of the game, but now, I have to break up fights inside of a video game?? My children learn a lot from this game and I promise you, if they are ever thrown into a land that is made up of dots and just given a pickaxe and a few animals, they will get through. They will proceed to build a new village and a new house and figure out how to adjust to their new lives. So will your children. Is it silly of me to say such things all because of a video game? Maybe. But, I watched my 5 year old, (then 4), figure out which animals to save, how many of each, count 36 sticks, build a house for himself, a safe place for the animals he found and collected, and figure out how things work on a computer, a game console and in Minecraft land. Every time they start yelling and arguing, it's time to turn it off and guess what they do next? They go outside and play "real life Minecraft". It's fascinating to watch yet somewhat creepy. But, their vocabulary has grown and their survival skills are far more brilliant than what I might do if I was dropped off in the middle of a bunch of dots and just thrown a few things every so often. So, for now, I think I will deal with all of the craziness. I really wouldn't mind playing Minecraft myself but, there is no time. Plus, if I start, it will be to addicting so, I better steer clear! As long as time is limited, children are supervised, you are there to answer questions, help with debates, be the judge and jury, and get them out the door on a daily basis, I think it's just fine. What do you think about Minecraft? Do your kids play? Please tell me I'm not the only mom who has to break up these screaming battles inside an actual video game? On the very first page, you are introduced to, Ridley Fox, who had just woke up after blacking out in Chechnya. You are immediately suffering from a pounding headache when you read the first paragraph and you are right there with Ridley, staring down the barrel of a Russian AK 108 assault rifle. Did I get your attention? So, before I begin explaining a bit about what this intriguing, gripping, spy thriller is about, I must tell you, I am floored, (like, totally), with Russell Brooks' writing style. Honestly, I wish Clive Barker would take a few lessons here. (Yes, I said it. Yes, I mean it.) 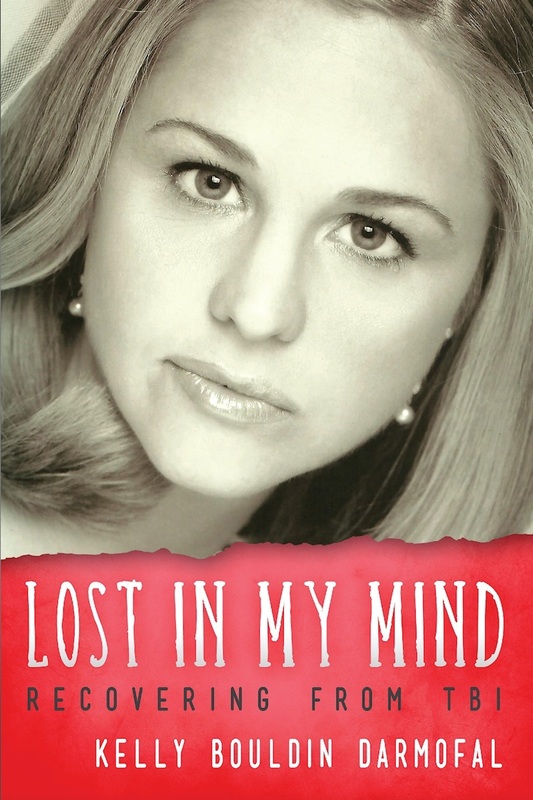 I just can't sit through a book when the author takes a page, or in Barker's case, a few pages, to describe the scene or the pain or the dress that the woman was wearing who walked by. It isn't necessary and I lose interest in books like that because I just don't particularly care so much about insignificant details. What is fascinating about this book and this author, is that he is capable of painting the picture in a paragraph. Short, precise, detailed and onto the next thing. I found this to be true for the entire book and for me, this is something I envy and something I wish more writers would be able to do. Of course, writing styles are all unique and everybody enjoys something different. I just happen to like more of a story, more action and less of the "Look at me! I read a thesaurus today and I used all of the words instead of just a few! That being said, I do wish this story would have lasted a tiny bit longer. It is a very fast moving, quick story that I feel has a few more chapters of life in it. I think at times, I felt a little rushed and some of the elaborations and "secrets" and different parts of the story that could have had more play, seemed to end abruptly. Sort of like the condensed version of the actual, entire book. Remember Cliff Notes? This book fits in my favorite genre so, maybe I am being a bit partial but, this book has everything you would wish for in an action packed thriller, spy thriller, suspense, wherever you want to put this book. The story is good, the characters are interesting and it is delivered to you in a tight knit, well put together, little package. You won't be taking to many breaks with this one and you will ether be taking the book or your kindle to the bathroom if you start it. So, be sure to have some time available before beginning. Ok, so, back to the book. Ridley Fox's fiance was murdered a couple of years ago and Ridley makes it his personal mission to hunt down the killers. It seems he gets in a lot deeper than what he expected or assumed he would be in, when he uncovers the terrorist group's plot to take over the world. The Arms of Ares, are their name and they have a biological weapon called, Pandora. Ridley learns throughout the story, that Arms of Ares has been successful in infiltrating some of the world's highest organizations. (The British and the Russians!) He also meets, Dr Marx from the CDC and finds that Dr Marx is also aware of Pandora. Pandora is an organism that feeds on DNA and not just Arms of Ares has this organism... Pandora could eat through an entire human in just a minute or 2 and there is no way to stop it. Pandora's Succession has a mole in the CIA, creeps from the CDC, new world order, terrorists, cults, enough action to keep your heart pounding and you can tell the author did his homework when having to write about biological warfare, weapons, other countries and intelligence operatives. I am always in the kitchen, it seems. There is an army here who never stops needing food and drinks and I recently made a small makeshift office at the kitchen table so I can catch up on my computer work and emails and everything else a busy mom does. It's kind of where I spend most of my day and evening and part of the night time. Of course a lot of my time here is cooking, baking, preparing, mixing, even butter and cheesemaking. So, of course, a good set of measuring spoons are a must have for me! I like that these measuring spoons are light weight and stainless steel. I also think it's imperative to have the measurements, engraved in the spoon itself. Just like the other reviewers stated, it helps to not have the measurements rub off when you wash them. I also like the handy little ring that connects all of the spoons. I usually won't even bother with a set of measuring spoons without a ring to attach them to so I can hang them on a hook on the wall or my bakers rack. These do the job and I don't really have anything negative to say about them. They are well made, the price is right and they are one of the best for the job. I will say, I did expect them to be a tad bit sturdier. I do like that they are light weight but they are very light weight and they are slightly bendable. But, this is just a personal preference and nothing at all against how they are made. I just happen to like things a little heavier then these. I would recommend these to anybody who cooks or bakes or just needs a set or an extra set of measuring spoons. Yes, I would purchase a set if anything were to happen to these. I have a few sets and I like this specific set for granulated sugar and brown sugar. They just seem to be easier to get into bags or containers and level off. More so than other measuring spoons. To me, that alone makes them feel much more precise. One of the hardest things to do as a mom, is to get my kids to drink more water! It doesn't seem so hard during the summer since, we can make our own popsicles, they get super thirsty from playing outside, and just love ice. But, give them a choice, water isn't their first choice. So, like most everything else that parents have to do for our little ones when we have to teach them to eat their fruits and veggies, drink water, wash their hands, don't eat boogers, and all of the other icky things kids do, we have to be creative and try our best to make the not so fun things, more fun! 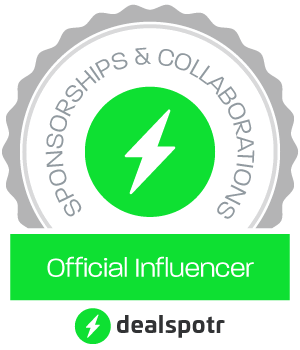 I know, it is super duper rough sometimes but we do have the internet now and a lot of brands and bloggers and Pinterest! All of these things make one of the hardest jobs we have as parents, all the more easier. The best thing is, we aren't alone! I spend a lot of my time online, looking for recipes, tricks, tips, and new products that will help make my life less annoying in some way. 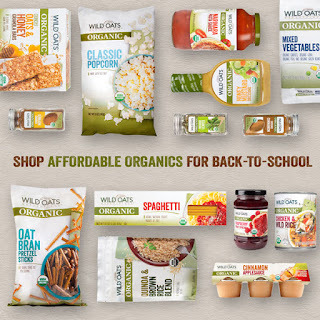 One of those products are the new Water Drops, by Sweet Leaf Stevia. We are in the process of remodeling different sections of our home. (Aren't we all, right?) It has been 8 years and we got a lot accomplished but as usual, something unexpected happens, breaks, explodes, lol, whatever the emergency, we have all been there. We bought an old, ok, a REALLY old, house that used to be an inn with a barroom in the basement. It has a lot of character! (But, also has 2 floors that need completely redone since they are just as they were when they were built.) So, after a few years, we finally finished 2 bedrooms for the kids and we are in the process of planning for the youngest to have a new room and for our own bedroom. I love creativity, originality, things that don't match and things that are unique! 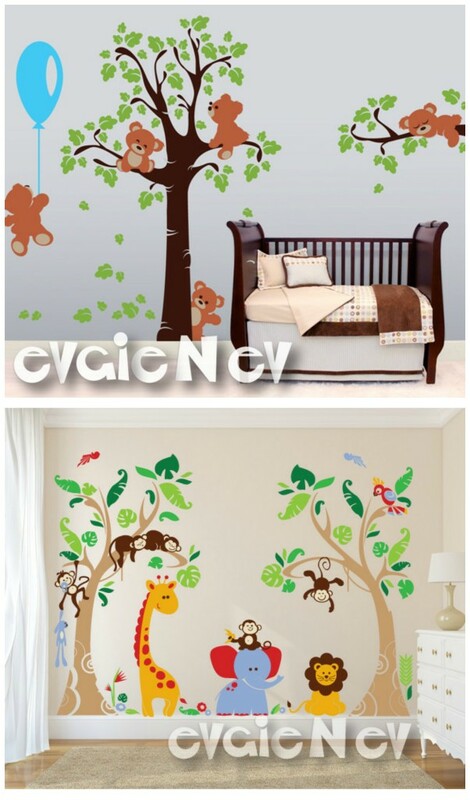 I can not wait to order some of these wall decals for the last 2 bedrooms! I may even have to order some for the other bedrooms! Which designs? I have no idea just yet because I can't decide between all of them. They are absolutely stunning! Evgie is a great place to find wall decals. 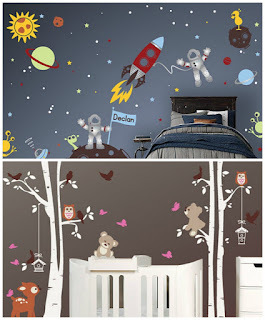 Their vinyl decals are made from high quality matte (made in Germany) vinyl which looks like it is painted on the wall. It is removable, so it’s simple to transform any room over and over again. Just peel and stick, it’s so easy! They will apply to most smooth surfaces. It’s also removable and won’t damage walls! Right now - the more you buy the more you save. You can save up to 25% on your order! 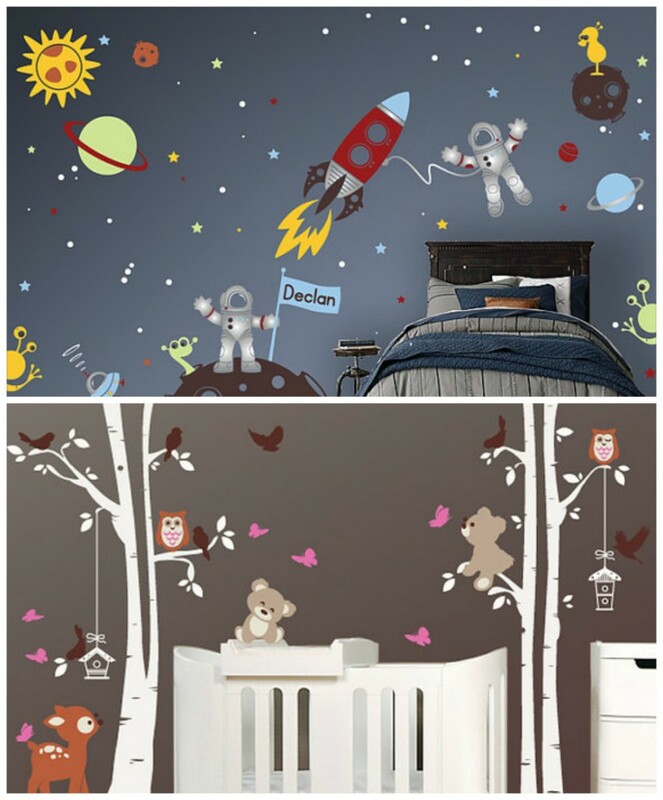 Check out some of our favorite designs! 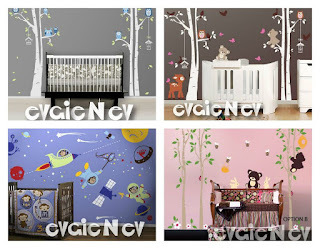 They are also customizable. 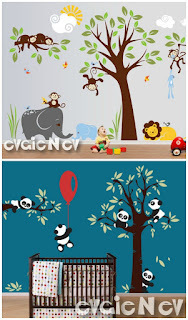 For example the Safari Wall Decals different colors are available at no additional charge and you can choose up to 7 colors from their color chart. With every order you get 3 FREE CUTE MINIATURE COPIES of their decals, your choice of monkeys, elephants or dogs or combination. You may put it on mirrors, glasses, your laptop or just hand it to your friends and relatives as it makes a great small gift. They also offer custom designs. If you have an idea in mind of a custom design, let them know! Make sure you check out some of their products. Hidden in a few product descriptions are a code to save 20% -35%off off any product! The code is valid from August 1 - August 17 at 1159pm EST. Open Worldwide - but if the winner resides outside the US they will need to pay the difference in shipping. 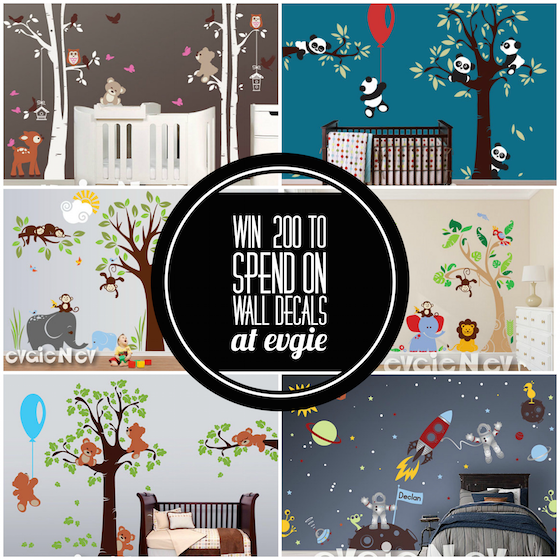 This information is brought to you by Evgie Wall Decals and SavingYouDinero.com. Blogger is not responsible for fulfilling the prize.